The memorial was erected to the memory of the 63 men of Woodland and surrounding area who served their country during the Great War and particularly the 8 men who paid the ultimate price. It was unveiled Saturday 9 October 1920 by Colonel H.C. Watson of Barnard Castle. The 3ft. x 3ft. bronze tablet, mounted on a stone monument standing 17ft. high on an 8ft.6” base was designed by Mr. J.J.C. 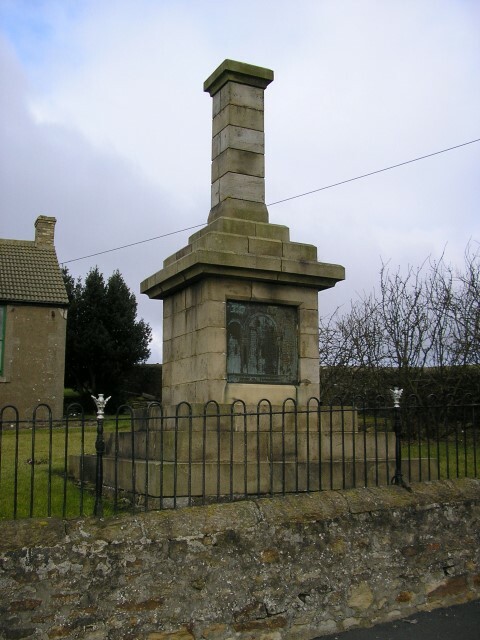 Allison of Lunton Hill, the President of the War Memorial Committee. The monument was built by Mr. John Alderson, the stone and material was given by Messrs. The Cargo Fleet Iron Co. owners of the Woodland Colliery. 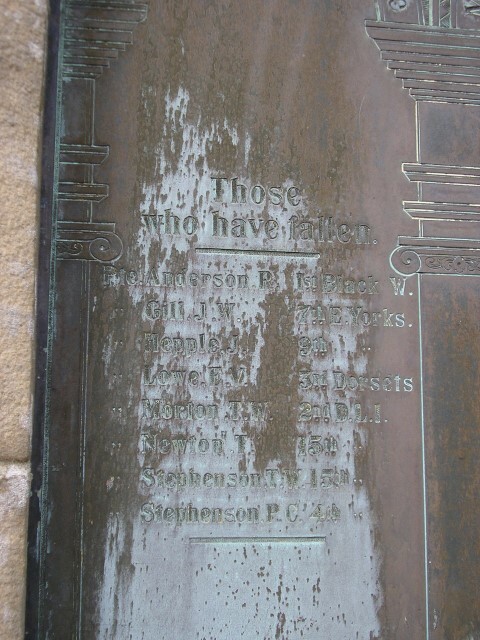 Messrs. Reid and Sons of Blankett St., Newcastle executed the bronze plate. The cost of the memorial was £230. The service was conducted by the Rev. D.W. Marsh, Vicar of Lynesack and short addresses were given by the Rev. H. Tregoning, Barnard Castle, the Rev. R.W. Young, Staindrop and Mr. Jacob Beadle, Woodland. The Woodland Silver Band and the united choirs of Lynesack, Woodland Wesleyan, Woodland Mission and Copley Primitive, under the leadership of Mr. J. Pattinson, were present. A concert followed and the schools were packed to capacity, many being unable to procure seats and a public supper was held.